Agnew Analog Reference Instruments can supply, repair, or restore Disk Recording/Mastering systems. Please contact us or read on for more. How To Choose a Disk Recording System? Sound recording started out towards the end of the 19th century as a purely mechanical process, where the variations in air pressure which we call sound, were represented as wiggly grooves, cut on a cylindrical object. Soon thereafter, the cylinder was replaced by a rotating disk as the storage medium, and the phonograph record was born! It went through various stages of development and refinement, before taking the form of the stereophonic vinyl record, which still survives to this day, over 140 years after the disk medium was invented. For a more detailed historical overview please follow the Sound Recording History link. Not only is the vinyl record surviving, but despite significant efforts to replace it by other formats during the 90's, it is now enjoying a renewed increase in popularity, outliving several of the proposed alternatives of the past few decades, which are now tending towards obsolescence. The renewed interest in the disk medium has created a new generation of people interested in making records. However, vinyl record manufacturing equipment were already largely out of production by the late 1980's, and are proving difficult to find and even more difficult to repair, restore and keep operational. For further details on how vinyl records are made, you can have a look at An Overview of the Phonograph Record Manufacturing Process. 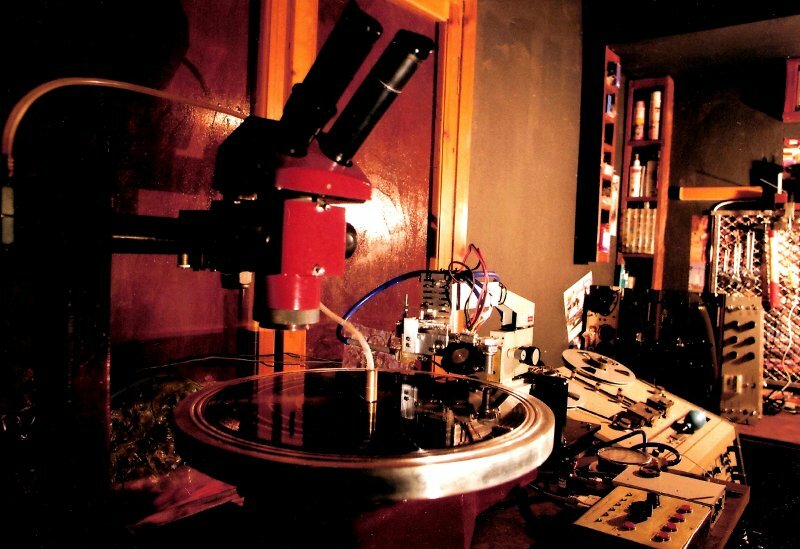 Whether you are looking to make a one-off record, sometimes referred to as a dubplate or acetate, or to mass-produce multiple copies of vinyl records, the process always starts with cutting grooves on a disk. This is done on a Disk Recording System. If the resulting disk is a master disk (usually a lacquer master disk), to be used as part of a manufacturing process, the system is often called a Disk Mastering System. People refer to such systems using different names, a complete list of which can be found under What Shall We Call a Disk Recording System? The main component of any Disk Recording or Mastering System is the Disk Recording Lathe (or Disk Mastering Lathe). As the name implies, this is a derivative of the popular machine tool, sharing constructional features and a lot of the terminology popular with mechanical engineers. In fact, it would be quite accurate to describe the operator of a Disk Recording Lathe as a Machinist of Sound. In practice though, this person is usually called a disk mastering engineer, a cutting engineer, or a disk transfer engineer. The Disk Recording Lathe is the machine tool, but it also needs a variety of other components to enable a suitably educated operator to actually do the job. We have compiled a reference of every such lathe and relevant component ever made, with pictures and information, where available, as a resource for anyone interested in these machines and their history. Please have a look at our Analog Disk Recording Information Portal and check back often as we are regularly updating it. If you are interested in buying a Disk Recording System, please contact us. We can supply complete, turn-key systems for professional mastering facilities, or just lathes and other parts individually. If you would like a test cut made on one of our available systems, do not hesitate to ask. We can fully restore or repair any machine you may already have, of any vintage. We do offer training in the use and maintenance of such systems. We also accept visits by appointment, if you would prefer to see in person what we have available.